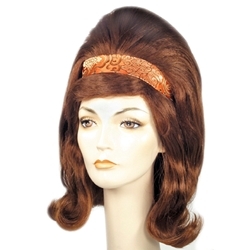 A large beehive wig with a 1960's flip and a band on the front. A great wig for Hairspray. Available in auburn, black, blonde, or brown.